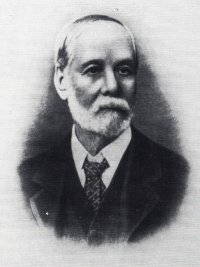 Edmund Walcott Fosbery was born at Wootton, Gloucestershire, England, on 6 February 1834, and came to Victoria, Australia in 1852, at the age of 18, lured by gold discoveries in Australia. Soon after arrival he obtained an appointment as a cadet, in the Victoria Police Department, under the late Captain Standish. On November 1st, 1853, he was appointed Chief Clerk to the Commissioner of Police, Melbourne. In 1861 Fosbery advised Charles Cowper on the reorganisation and centralisation of the New South Wales police force. On 1 April 1862, he joined the civil service as secretary to the Police Department and Acting Inspector-General with the rank of superintendent at the time when the New South Wales system of administration was being reorganised by Captain McLerie under the Premiership of Sir Charles Cowper. He succeeded Captain McLerie ( who had died the day before – on 6 October 1874 ) as Inspector-General of Police on 7th October, 1874, and held that position until the 30th June, 1904, when he retired. His tenure of office was marked by outstanding administrative ability and great devotion duty. Under Fosbery the force increased from 800 men to 2300, despite trouble in recruiting. In 1882 he wrote to Sir Henry Parkes that ‘Newly arrived Irish apply, but no others—a good draft of 30 or 40 English from the Metn. Police in London would be very useful to me‘, pay was bad and constables considered ‘dismissal but little punishment’. Fosbery was always left untrammelled to enforce discipline. The duties of the police increased and ranged from chasing truants to collecting statistics in the interior. An able administrator, Fosbery was a member of the Board of Health, chairman of the Public Service Tender Board and from 1900 a member of the board for the administration of the Old Age Pensions Act. As chairman he took a particular and benevolent interest in the charges of the Aborigines Protection Board. He was on the committee of the Discharged Prisoners’ Aid Society and chairman of the Charity Organisation Society. He was also a trustee of the New South Wales Savings Bank, and a director of the Bank of New South Wales and the United Insurance Co. In 1888 he visited Europe, partly on official business. 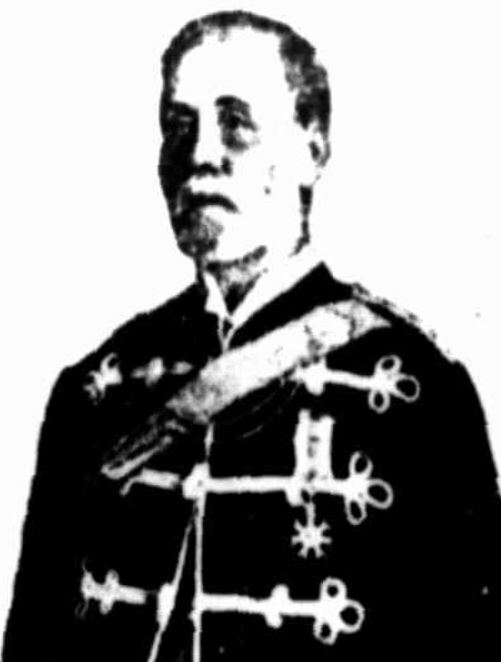 Prior to his retirement on 31 December 1903, he was created a Companion of the Order of St. Michael and St. George, and upon retirement appointed a member of the New South Wales Legislative Assembly. He added, ” he was handing over to his successor a police equipment unequalled in the world ” and he concluded, ” When many years ago I took up my position I swore to do my duty, and I feel I may regard this gathering as an indication that I have kept my oath “. He died at the age of 85 on Tuesday 1st July, 1919 at his home, Eaton, Bayswater Rd, Darlinghurst, NSW and is buried in the Anglican section of Camperdown cemetery.